Nautical inspired fashions are often reserved for sailing through the spring and summer months, but I'm really loving the chic warmth that winter outfits with traditional nautical flair bring. When creating a nautical style in cold weather think cozy cable knit sweaters, military coats, stripes, and shades of red, navy and cream. 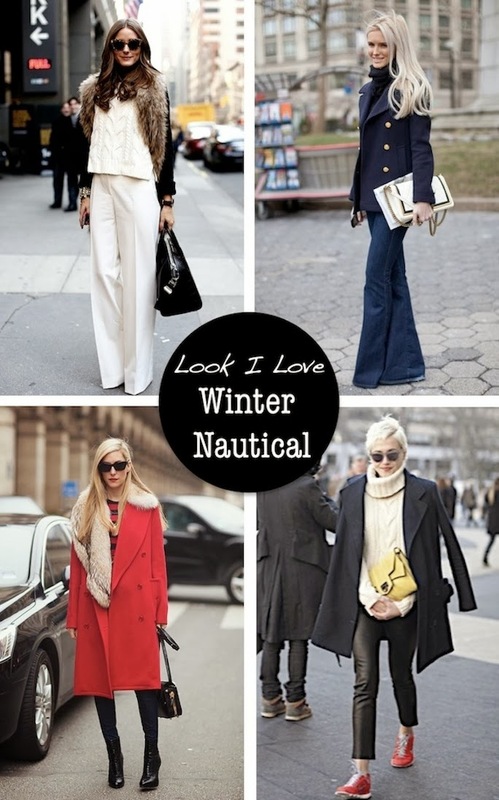 Follow the lead of the fashion players above to get the winter nautical look down to a tee. Olivia Palermo created a sophisticated nautical look with cream wide leg pants and a cable-knit sweater. Dark denim trousers and a pea coat make for a less formal yet still chic way to translate the trend. For a casual weekend look try mixing in a pair of cargo or leather pants. Fashion Editor Joanna Hillman knows that a red coat is a sure fire way to catch eyes while keeping warm. 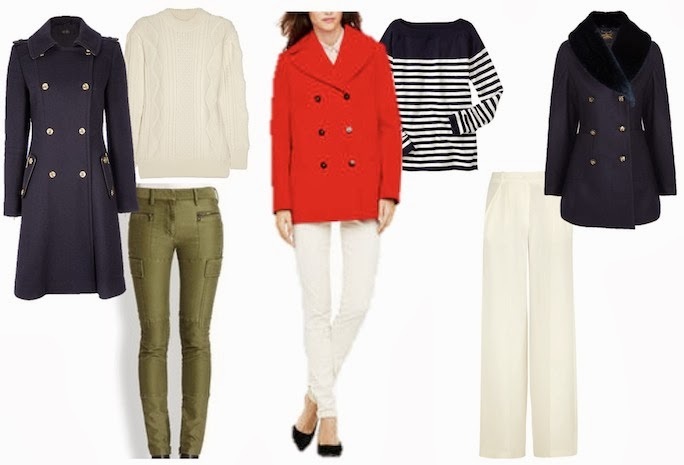 I love winter nautical looks–especially that red coat. In LOVE! I love this! So stylish. Really crazy over knitted cable sweaters lately. That Marc Jacobs sweater-gorgeous!